Your Beautiful Floor will soon be a reality. Here are a few things you can do to smooth the way. Clean, clear and prep the space where the new floor will be placed. Hopefully, you've already completed any other remodeling projects, such as painting and wallpapering. Also, vacuum the old floor to avoid airborne dust and dirt when it is pulled up. 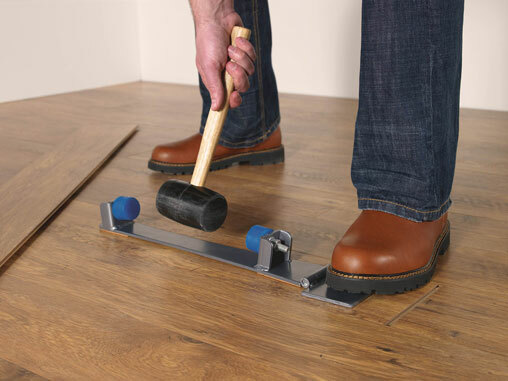 When you have flooring professionally installed, most often that includes removing the furniture in the room. However, any delicate or expensive items you might want to consider moving yourself. Just the same way you wouldn't leave Grandma's antique cut crystal for the movers, you might not want to leave your mid century modern kitchen table (the one with the wobbly leg) for the installers to move. 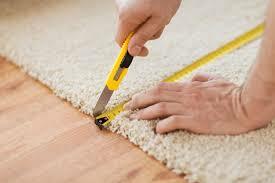 Your flooring installation crew will inspect the carpet either on site or before arriving at your home. 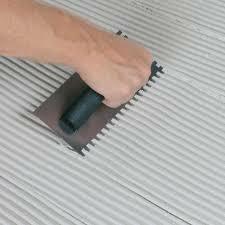 Especially in the case of hard surface flooring, you might find they drop it off a day or two prior to the actual installation in order to give it time to acclimate to the setting. 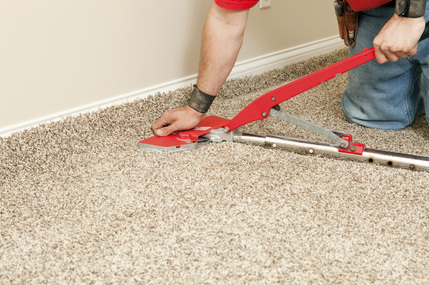 New flooring, especially thick carpet, may prevent doors from swinging, and, if a door does not clear, you may have to arrange to have your doors trimmed. Ventilate the area for 48 to 72 hours. However, if you are unusually sensitive to odors or are allergy prone, you may want to avoid the installation area during this period. One more thing: There is no need to tip your installers, although, of course tips are greatly appreciated. Better yet, be a gracious host and have a pitcher of ice tea or lemonade ready - installation is thirsty work! For larger spaces and irregularly shaped spaces, both carpet and sheet vinyl may require the use of seams; think of it as a piece of fabric that has to be cut to fit your unique space. The placement of seams is important and most retailers will take care of this for you. If you’re concerned, speak to your retailer and ask to review the layout before the installation. Whenever possible, keep them in less trafficked areas. Generally, seams are invisible after the installation. Nevertheless, they should run perpendicular to windows to avoid reflecting light which can increase their visibility.